Natasha Mostert‘s Keeper of Light and Dust is an elegant fusion of martial arts, tattooing, Eastern philosophy and medicine, and biophoton and chronobiological science set in modern London, England. Mostert deftly meshes information with characterization and plot, and there is never a dull moment in this spiritual thriller. Some readers may find the science or Eastern philosophy and medicinal information daunting at first look, but readers will quickly become absorbed in the plot of this novel, cheering on the main characters and yelling at them when they fail to realize the dangers they face. Mia Lockhart is a Keeper, who protects her marked fighters from danger and from failure in the ring; Nick Duffy is a skilled fighter with a lot of heart, Mia’s childhood friend, and a successful businessman with his own social networking business (KIME) for fighters and enthusiasts; Adrian Ashton (Ash) is a scientist, fighter, trainer, and vampire, though not in the traditional sense–he feeds on the chi of others. In the following conversation between Ash and Mia, readers can garner a sense of each character’s personality and their perspective. Dialogue in this novel will have readers chuckling and thinking in the same breath. The dynamic between the three characters is fluid and will have readers guessing. Readers will love watching these characters evolve and grow together. Mostert is a phenomenal writer with a gift for description. Check out the passage below for a taste of how well Mostert weaves the narrative and creates a world that is very tangible. “Mia opened the first box. Inside was a nest of stainless-steel acupuncture filament needles–already sterilized by autoclave–and a small plastic filled with sticks of moxa: herb mixture. Unlike some other novels, this novel sprinkles in some unique side characters, but those characters like Flash and Chilli stay on the periphery in their subordinate roles to help the main characters uncover the mysteries behind the deaths of several fighters and the mysterious The Book of Light and Dust. Keeper of Light and Dust is great for readers who enjoy Eastern medicine, philosophy, and marital arts, as well as those that enjoy suspense/thrillers and fantasy/science fiction novels. However, the main characters in this novel are dealing with more than just spiritual and martial arts dilemmas, they are dealing with emotions, life-changing events, and the dynamics of friendship. This novel defies normal convention in the science fiction/fantasy category and transcends those confines to deliver a well constructed drama. She is the author of five novels. 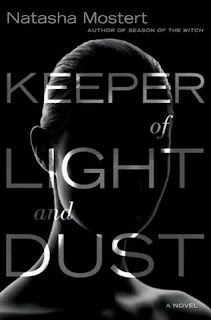 Her latest novel, Keeper of Light and Dust (published in the UK under the title The Keeper) joins together ancient mysteries with cutting-edge science and introduces a fascinating heroine who belongs to a long line of Keepers: women who are healers, warriors and protectors of men who are engaged in hand-to-hand combat. Tattoos, quantum physics, chi and martial arts all combine in an intricately crafted plot. Her fourth novel, Season of the Witch, is a modern gothic thriller about techgnosis and the Art of Memory and won the Book to Talk About: World Book Day 2009 Award. Her debut novel was The Midnight Side, a story of obsessive love and a ghost manipulating the London Stock Exchange. In The Other Side of Silence, a sinister computer game becomes the key to unravelling the riddle of the Pythagorean Comma: one of the oldest and deadliest mysteries in the science of sound. Her third novel, Windwalker, is a story of fratricide, redemption, ghost photography and soul mates searching for each other. Educated in South Africa and at Columbia University, New York, Mostert holds graduate degrees in Lexicography and Applied Linguistics and a bachelors in Modern Languages majoring in Afrikaans, Dutch, English and German. She worked as a teacher in the Department of Afrikaans and Dutch at the University of the Witwatersrand, Johannesburg and as project coordinator in the publishing department of public television station WNET/Thirteen in New York City. Her political opinion pieces have appeared on the op-ed page of The New York Times, in Newsweek, The Independent and The Times (London). 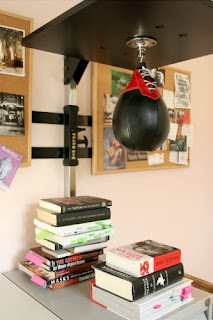 Interests aside from writing include music, running and kickboxing. Future goals include writing poetry, executing a perfect spinning backkick and coming face to face with a ghost. Check out Natasha Mostert’s Keeper Game. I ended up being The Thief; I’m not sure that’s a good thing. Your sign is the Ninja. Your code word is stealth. Your totem is the dragonfly. You are highly focused in your goals but do not believe in knocking your head against a brick wall and will rather bide your time and wait for the most favourable moment. You can be ruthless and unsentimental, but also capable of great passion. You usually succeed in what you set out to do. Your head rules your heart unless you become obsessive, which you tend to be. Your true mate is The Healer. Your opposite sign is The Warrior. This giveaway is international. There is 1 copy of this fantastic book up for grabs. To enter, play The Keeper Game and leave a comment about your results. For a second entry, leave a comment on the interview from April 20. For a Third Entry, leave a link to where you Twitter, Facebook, blog, or advertise this giveaway. Deadline is April 28, 2009, at 11:59 PM EST. 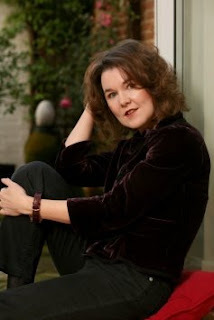 Today is the kickoff for the Natasha Mostert tour of Keeper of Light and Dust, which I offered to review at the request of Sheri at A Novel Menagerie. I want to welcome Natasha Mostert to Savvy Verse & Wit and to thank her for taking time out of her busy schedule to answer a few questions. Readers, you are in for a real treat. 1. Have you always been interested in writing fantasy/science fiction novels? And what about the genre draws you to it? I like building worlds, which is probably what attracts me to fantasy. However, even though I write about concepts that are considered quite fey, I make sure to embed these ideas into a realistic narrative. I did the same with Keeper of Light and Dust. The book is set in the world of martial arts and very often in martial arts fiction, characters will manage all kinds of incredible physical and mental feats: run up perpendicular walls, float above the ground while engaging in mystical sword play, mesmerize their opponents with a single stare. I did not want to go that route. My characters are real people – in fact, they are composites of fighters I know. I’m their biggest fan — for almost seven years I’ve been following these men and women from fight to fight. I know the problems and injuries they face when training. I know what it smells like in a fighter’s dojo! I understand the rivalries and camaraderie of their world and I hope I have managed to portray this environment accurately. There are of course, mystical elements in Keeper, and my heroine is in possession of a pretty cool skill, but I work very hard not to turn my characters into super heroes. As for the science bit: well, my novels are idea-driven. With me it always starts with an idea and then I build the book around it. Usually, what happens is that I’ll read a work of nonfiction, which will kick my imagination into overdrive. Before I wrote Keeper I happened to read – quite by chance – a book about light emissions inside the human body. I never knew that all of us carry tiny fugitive pulses of light inside of us and the idea was so mind-blowing that I immediately knew I wanted to use it in my story. And so I created the character of my villain – a biophotonic expert who has cracked the secret of how to steal the light and vital energy from his victims and make it his own. Many fantasy writers like to use recurring characters and themes. It is important to me not to repeat myself. Each of my books, I hope, is unique in its own right. It would be far easier to write sequels and keep to the same formula, but I would find that boring and I like to challenge myself and my readers. I think I’m lucky in that the people who like my work are the kind of readers who are adventurous and who are willing to follow me when I enter uncharted territory. 2. I noticed on your Website that one of your future goals is to write poetry. What has kept you from realizing this goal? Have you worked your way toward meeting this goal yet? Poets are the Zen masters of the writing world. When you write a poem every word counts and there is no room for fat or flab. That kind of discipline is daunting to a writer of prose! I’ve written poetry for my eyes only and maybe one day I’ll find the courage to send it on to my editor. But it is not only lack of courage that keeps me from pursuing this dream, it also lack of time and the demands of having to make a living. My days are so filled with fiction writing and promotion that I hardly have time for anything else. Writing poetry is time consuming. Time – sadly – is the one thing I don’t have. 3. In keeping with the poetry theme (since it is National Poetry Month here in the U.S.), have you kept up with any contemporary poets and could you name some of your favorites? If you haven’t, please name some of the less contemporary poets you enjoy. My favourite poets are Philip Larkin and e.e cummings. Pablo Neruda is wonderful, I’m just sad I have to read him in translation. I love the Metaphysical poets – Donne, Marvell, Herbert – and in my first book, Midnight Side, their poetry forms a leitmotiv throughout the narrative. My native language is Afrikaans and my favourite Afrikaans poet – probably my favourite poet, period – is a man by the name of NP Van Wyk Louw. His poetry is stunning. 4. Do you listen to music while writing? What would be your top five songs on a playlist for Keeper of Light and Dust? Yes, I do listen to music when I write. Music is oxygen. My addiction to music is probably due to the fact that I grew up in a home where music was all-important. My mother is a voice coach for opera singers and when I think back to my childhood, all my memories seem to be set to music. The house was always alive with it. Keeper is also a story about fighters! These guys live in a gritty world and their training is tough. My song for them would be the theme song from Halo2. Also, that old Rocky classic, Robert Tepper’s song, No Easy Way Out. This last one is maybe just a tad cheesy, but it works! My heroine, Mia Lockhart, is a healer and a person whose life is steeped in mysticism. I can imagine her listening to Loreena McKennitt’s music: songs such as The Mummer’s Dance or All Soul’s Night. And then there is Tori Amos’s Strange Little Girl, which would be perfect for Mia! Mia’s parents died tragically and there is an undercurrent of sadness to her life.. I can imagine Concerto for Oboe in D Minor: Il Adagio as being the soundtrack. As for my villain, Adrian Ashton, he is obsessed with finding the secret to living forever, and therefore Alphaville’s Forever Young would be his anthem. 5. If you could pick any other profession, in any time period, what would you choose and why? Oh, I want to be James Bond! Or at least, the female equivalent. Intrigue, adventure, spying, glamorous locations. Why? Well, I spend my days staring at my computer screen in desperation, snacking obsessively and talking to myself in the mirror. I think this explains it. 6. Please describe your writing space and whether you would consider it your ideal writing space. (Feel free to include a photo or two for the readers, some readers really get a kick out of visuals) Also, what’s the centerpiece of your writing space? Virginia Woolf famously said that a woman needs a room of her own if she is to write fiction. For me, that is pretty essential as well, and I’m so lucky that I have an office with a stout door I can close. On a good day my office looks whimsical (I hope), on a bad day it looks like the playground of someone who needs serious help: stacks of paper and printouts, photographs, boxing paraphernalia, sagging pin boards with too many newspaper and magazine clippings, objects d’art made by my godchildren, CDs, many, many little bottles of hand sanitizers (neurotic, don’t tell me, I know) and books, books, books. The centerpiece is definitely my boxer’s speedball! It has pride of place and whenever I become spaced out from too much writing or find my creativity blocked, it only takes a few minutes of tapping out a rhythm on the ball to get me going again. Thanks, Natasha. What great answers! Dear readers, check out my review of her latest book, Keeper of Light and Dust, tomorrow, April 21, and an international giveaway. Don’t forget to enter The Traitor’s Wife giveaway, here and here.